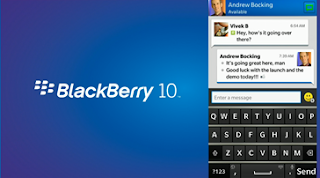 One of the main criticisms of BB10 has been the cost of the high-end Z10 and Q10. Blackberry's, Rob Orr, aka managing director of UK and Ireland, has gone on record with PocketLint and said that explained that cheaper phones are on the way. "Over the course of time we will bring BlackBerry 10 to all the segments of the market, but it will take time." For the moment BB7 phones will offer customers a cheaper option and BB10 phones were described as the consumer paying a premium for 'a different experience', which doesn't necessarily paint a good picture of BB7 devices. SammyHub believes that Samsung are going to start churning out those 5" 1080p Super Amoled displays in the near future! They will supposedly start making them for the end of this month! That rumours ties nicely with this one from SamMobile, which we're reluctant to post because we're not convinced by. The guys have posted that the Galaxy S4 will be launched on March the 15th. We're really not expecting it to land until April or May at the earliest, but we're more than happy to be proved wrong! The IBTimes' 'inside sources' believe that Google employees are currently testing Android 4.2.2 on Nexus 4s, Nexus 7s and the Nexus 10s. The update is supposedly being worked on for the Samsung Galaxy Nexus. The update is only expected to fix a few bugs though! Apple has announced that iTunes has now sold over 25 billion, yes billion, songs! The milestone was reached with the download of Chase Buch's “Monkey Drums (Goksel Vancin Remix)" by iTunes user Phillip Lüpke. For being the lucky guy he will receive a giftcard with the value of €10,000 pre-loaded! Nice! Google has coughed up $125million for Channel Intelligence Inc. They're a company who buy and builds Internet software and services firms. Everything seems to be logical here! Google have also confirmed that there will not be an Android booth at this years MWC! Motorola's Razr i is currently received an update to Android Jelly Bean in the UK! The OTA should be with you soon if it's not already! HTC have reported that they had a poor January too! The guys from Taiwan can't seem to catch a break at the moment, as their sales slide 6.49% from January last year to around $530 million for this year! And finally, HTC's German arm has today teased something which will be 'alive soon'. 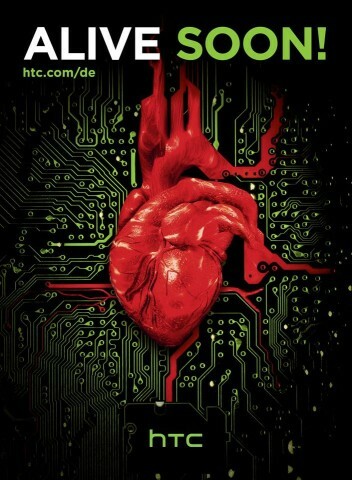 We're not convinced HTC is planning on offering mechanical organs, but we think this might have something to do with their upcoming M7. Perhaps the device will have some sort of 'pulse' notification or some other tenuous link with a heart? Who knows all we know is that the event is on February 19th and we can't wait!